A Purdue University professor is leading an effort to send a CubeSat up for an attempted controlled solar sailing in Earth’s orbit. The CubeSat, LightSail 2, is one payload as part of the Air Force’s Space Test Program-2 (STP-2) mission that will launch on the SpaceX Falcon Heavy rocket in early 2019. A CubeSat is a miniature satellite. A YouTube video is available at https://youtu.be/at_NwEKlafY. Solar sailing uses reflective sails to harness the momentum of sunlight for propulsion. 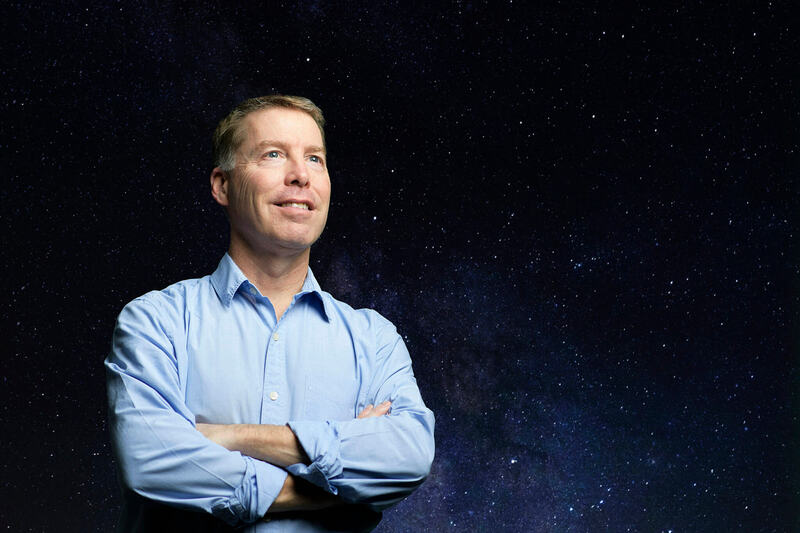 “While there have been prior missions that deployed solar sails, LightSail 2 will be the first to change its orbital energy by controlling the orientation of the sail relative to the sun,” said David Spencer, an associate professor in Purdue’s School of Aeronautics and Astronautics and project manager for LightSail 2. Spencer has been involved with LightSail program since 2010 and was mission manager for LightSail 1, which demonstrated solar sail deployment in 2015. There are a handful of long-term, visionary applications of solar sailing. A fleet of solar sail-propelled spacecraft could monitor the space between the sun and the earth to provide Earth an early warning for solar storms. Solar photons also could be harnessed to provide constant acceleration to reach extremely high velocities, allowing accessibility to the outer solar system and beyond. Also, a solar science mission could attempt to get into a polar orbit around the sun. “It costs a lot of propellant to actually get into a polar orbit about the sun. So from a chemical propulsion standpoint, it’s really tough to do that. But the unlimited source of propulsion provided by solar pressure makes it viable,” Spencer said. There have been considerable changes since the original LightSail launched in 2015. LightSail 2’s appearance is similar to the first version, though the second has a momentum wheel that allows it to control the sail orientation, as well as a cluster of small reflectors on the CubeSat that allow for ground-based laser ranging. The latter is how the team on Earth can get precise orbit determination. But most of the changes were in the software and to the testing of the CubeSat. After working through anomalies and software glitches on the first mission, the team applied lessons learned to the design and testing of LightSail 2. “We’ve been able to conduct a much more robust test program, so we’re well-prepared for flight of LightSail 2,” Spencer said. LightSail 2 will be enclosed within Prox-1, a spacecraft about the size of a mini-refrigerator that includes a spring-loaded deployer. Spencer led the development of the Prox-1 spacecraft while at Georgia Institute of Technology. Prox-1 will detach from the Falcon Heavy into an orbit that has an altitude of 720 kilometers (about 450 miles) before deploying LightSail 2. Following a spacecraft checkout period, LightSail 2 will deploy its solar panels and then unfurl four triangular solar sail segments, which combine to form a square sail geometry. With sail deployed, the craft morphs from the size of a loaf of bread to about the size of a boxing ring. Cameras mounted in the solar panels will image the sail deployment event. The solar sail will rotate edge-on and face-on to the sun each orbit, giving the craft thrust to raise its orbit by about a half-a-kilometer per day during the early portion of the mission. After about a month, atmospheric drag will overcome the ability to increase orbital energy using solar pressure. The craft will re-enter the Earth’s atmosphere and burn up roughly six months to one year after sail deployment. Spencer’s research team will be tracking LightSail 2, receiving the signal from the spacecraft as well as commanding the spacecraft during operations, from the Space Flight Projects Lab at the Purdue Technology Center. Justin Mansell, one of Spencer’s graduate students, is working on modeling and simulation of the mission and will compare that with actual flight data to evaluate the overall performance of the system. Funding for the project largely has been through The Planetary Society’s members and private donors. Prior to LightSail’s flight, The Planetary Society raised about $1.2 million in a Kickstarter campaign. The Planetary Society is the world’s largest nonprofit space interest group with members in 130 countries. Purdue University is an equal access, equal opportunity university. Need accessibility help? Contact evprp@purdue.edu.